Teva announced the launch of Argatroban Injection in 0.9% Sodium Chloride. 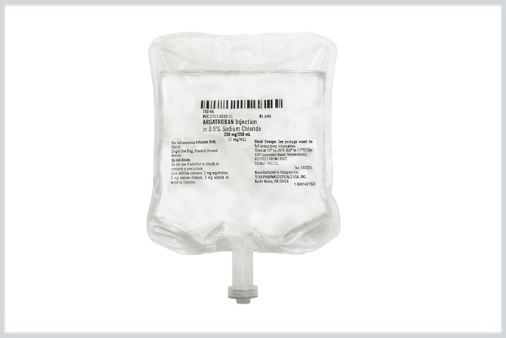 Argatroban is indicated for prophylaxis or treatment of thrombosis in adult patients with heparin-inducted thrombocytopenia (HIT); and as an anticoagulant in adults with or at risk for HIT undergoing percutaneous coronary intervention (PCI). Argatroban is a direct thrombin inhibitor that reversibly binds to the thrombin active site. It exerts its anticoagulant effects by inhibiting thrombin-catalyzed or-induced reactions, including fibrin formation; activation of coagulation factors V, VIII, and XIII; activation of protein C; and platelet aggregation. Argatroban Injection is available as a 1mg/mL strength in 250mL bags in 5-count cartons.